First of all, meeting energy savings objectives has always been challenging for businesses. Commercial energy efficiency programs must be cost-effective while reaching business owners in more sophisticated ways for sustained energy savings. Enerklean offers a wide range of renewable energy solutions including commercial solar systems for all types of business operations and commercial buildings. In addition, we understand how business decision-makers use and think about energy. 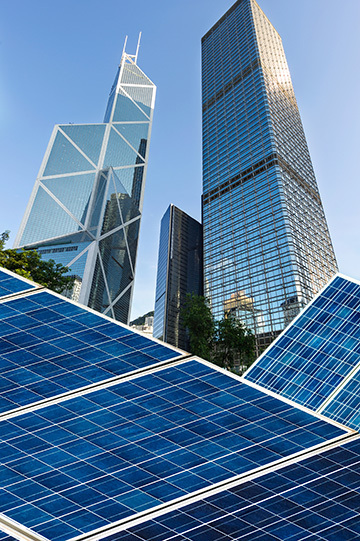 Hence, with a wide range of renewable energy solutions on offer, we help businesses find the commercial solar systems that best suits their requirements. We focus on helping businesses maximise their savings potential by offering energy efficiency programs and advice on energy saving programs. Our accredited solar installers, workmanship guarantee and product warranties minimise risks for businesses looking to invest in solar power. Finally, Enerklean’s Commercial solar solutions quickly deliver cost-effective results while driving ongoing adoption of the most energy efficient solutions. Our commercial solar systems can be tailored to the individual needs of your business. At Enerklean, we’re committed to offer you a renewable energy solution that perfectly matches your commercial environment. Furthermore, we understand that the requirements of each project may be different. We custom design all systems to each individual project, taking into account businesses’ power consumption, roof shape and the orientation of each commercial building. Whether you’re seeking specific components or full commercial solar systems, we are able to customise our renewable energy solutions to your business’ individual requirements. Whatever your needs, property specifics, vision and investment level, we can design a system to maximise saving potential and flexibility.